After spending two weeks back home traveling from pillar to post and hearing from a lot of you at the four town halls I participated in, I’m now back in DC. One consistent theme that folks asked me about when I was home was this: how do we make sure our federal government is working for “we the people” and not deep-pocketed special interests? Making Congress more accessible and accountable to you is one of my top priorities. In fact, that's one of the reasons I send out this newsletter every other week! I work for you. I’m working on some other efforts in hopes of reforming our campaign finance system. Read on for details! But beyond talk, Congress needs to take some action. There’s a whole bunch of bills that Congress could pass to shine a light on the murky world of online political advertising. It should start with a bill I introduced in the House with Rep. Mike Coffman (R-CO) called the Honest Ads Act. This bipartisan bill would require companies that host online ads like Facebook to tell us who paid to put them in our newsfeeds. We already have similar requirements for TV and radio. Passing the Honest Ads Act is a no-brainer. In fact, Facebook, Twitter and Microsoft actually came out in support of it last week. I’ll keep pushing to get it passed. There’s a lot of work that needs to happen in Washington, DC to limit the influence of deep-pocketed special interests and make sure politicians play by the rules. Congress should reform the Federal Election Commission, which is the referee in our election system. Its job is to blow the whistle when politicians cheat. The Commission has some vacancies that I’ve been pushing the White House and Congress to fill. And, I’ve worked with my friend and fellow co-chair of the Bipartisan Working Group, Rep. Jim Renacci (R-OH) to introduce legislation that would make the FEC more effective. I also secured some language in the government funding bill Congress passed last month that should be helpful. Because of it, the FEC will have to send Congress a report to show how it is enforcing the election laws that make it illegal for foreign countries to spend money in American elections. Reports like these may seem inconsequential, but they are the first step in taking legislative action. This stuff matters--Let’s talk about it! These issues are fundamental to fixing the problems that have caused so many people across the country to lose their faith in government. With that in mind, on Wednesday, I’m dedicating my monthly telephone town hall to talk about what we can do to get the job done. I’ve asked a special guest to join me. His name is Nick Penniman and he runs an organization called Issue One, which works to restore the voice of the American people in Congress. We'll be taking your questions this Wednesday at 6pm. To RSVP, email kilmer.teletownhall@mail.house.gov before midnight Pacific Time on Tuesday. When it comes to government reform, I work really hard to lead by example. To that end, I try to host a telephone town hall once a month and keep a busy schedule of public events where folks can share their ideas with me and ask questions. So far this year, I’ve attended 63 public community events in our region (not to mention a bunch of meetings that our office put together). And, my team and I have responded to more than 33,763 of your emails, phone calls and letters since January. In the last two weeks, we had town halls in our region that were open to the public. I also have a blog to explain why I voted how I did on a lot of the bills that Congress considers. You can view that here. It was great seeing many of you over the last few weeks. Read on for a few highlights, and check out my Facebook page for more. 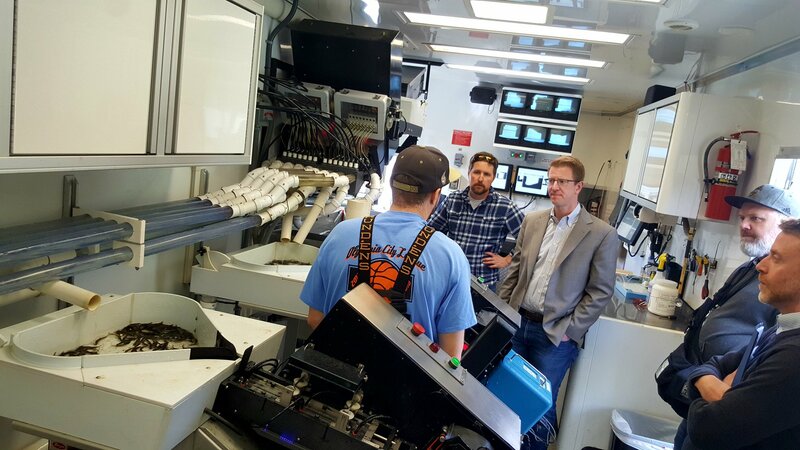 I toured a salmon hatchery with some of the leaders of the Northwest Indian Fisheries Commission to discuss their work to restore salmon populations. The government spending bill included funding for a key effort that will help tribal communities lead efforts to restore our steelhead and salmon populations and habitats. In Washington, more than 1900 AmeriCorps members are serving our communities. 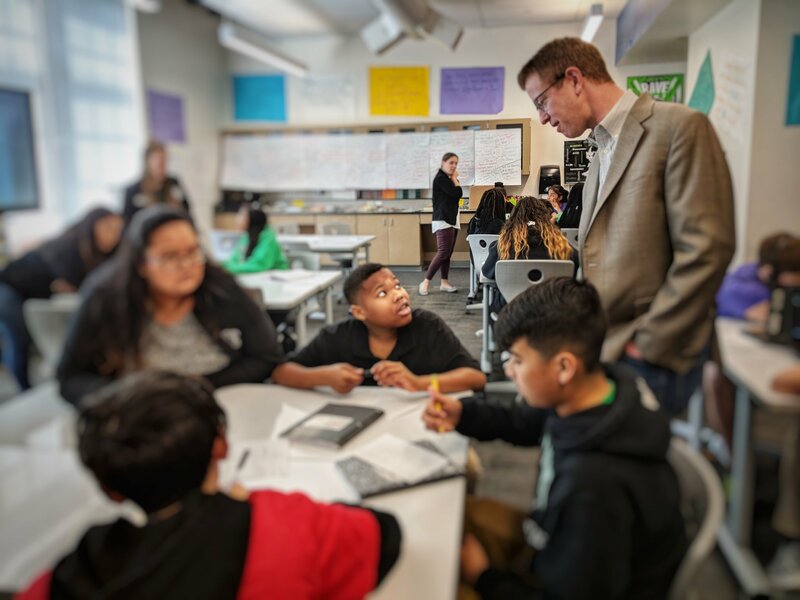 I met a team working with Serve Washington in Tacoma who mentor students at Stewart Middle School and other local schools. The spending bill Congress passed last month rejected the president’s plan to shutter AmeriCorps. In fact, AmeriCorps received a funding increase this year so it can have what it needs to continue serving folks in Tacoma and throughout our region. It was an honor to join in on the grand opening of the Marvin Williams Recreation Center in Bremerton. 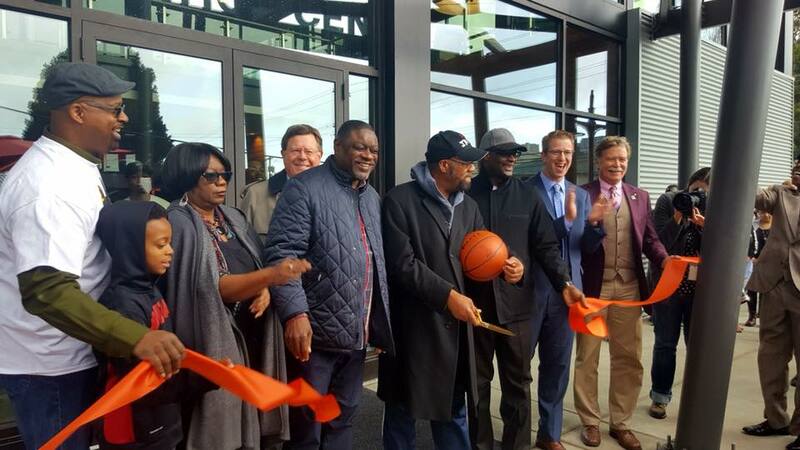 From coding to cooking classes, to working on a jump shot or a shot at a career, this center will give more young people in our community more opportunities to say yes to awesome experiences that will help them grow and help our community thrive. I'm proud of my friend Bishop Larry Robertson for his vision, his hard work, and for the legacy that he's helped build for generations to come. I also had the privilege to represent our community in thanking the men and women of Coast Guard Station Grays Harbor as they were presented with a unit citation for their actions to save nine lives within 20 hours in October of 2016. 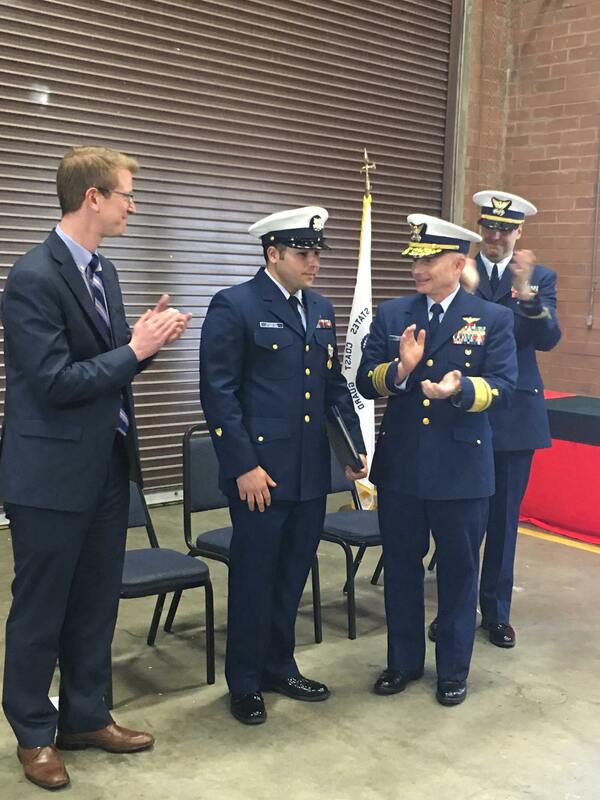 Rear Admiral David Throop, Commander of the Thirteenth Coast Guard District, presented Petty Officer 1st Class Jacob Hylkema with the Coast Guard Medal, the Coast Guard’s third-highest peacetime honor, for his individual actions to save a life by risking his own that day. I also headed to Forks where I met local officials at the hospital and city hall. 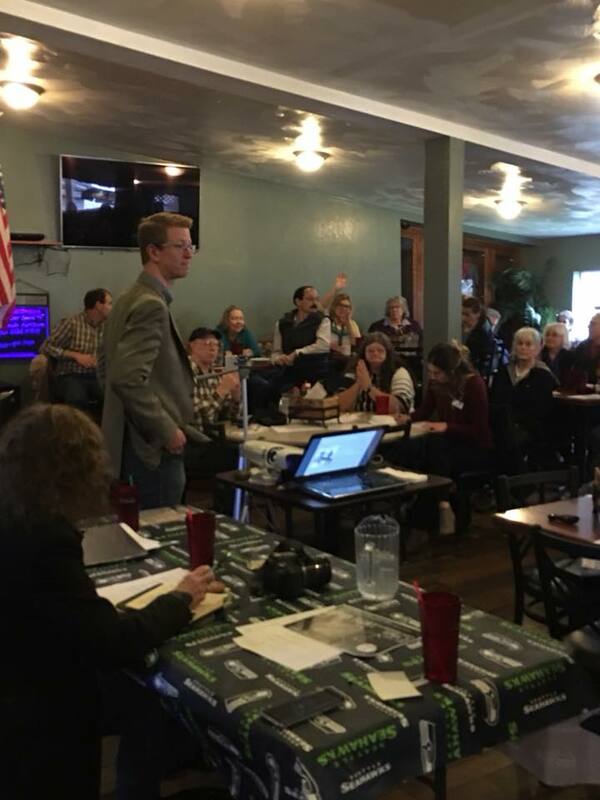 Then the kind folks with the Forks Chamber of Commerce hosted me at Blakeslee’s Bar and Grill for a Q&A session. We talked about how Congress can help businesses in the region grow. From efforts to bring high-speed internet to our region, to reforms in forest management, there's a lot Congress can do to create more opportunities in our neck of the woods. All right, that’s it for this time! Please let me know if I can help you or someone you know.